S?nnet Beskerming is a company with a focus and a drive to provide Information Security services for all those who want to stay safe and secure in an online world. When you've got S?nnet Beskerming solutions on board, you can finally get the most from your information and data systems, knowing that you already know what the hackers will use next against your system, and have already effectively defended against attack. Our innovative and intelligent products are designed to protect your data on the most hostile of networks and systems. Complexity in modern Information systems makes it difficult for the average business to understand the threats that it faces. 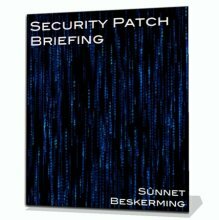 Luckily, S?nnet Beskerming has a solution that will help protect it from the threats that it faces. Beat the Hackers - Know what the threats are, before the hackers do. Flexibility - Technology that moves with you from platform to platform, and client to client. Beat your Competition - Mitigation of threats before they happen, and technology that keeps your systems running when your competitors are knocked offline. Safety - Rest assured - knowing that, even under attack, your data systems are safe. Forget the Hype - Practical, useful security knowledge in your hands, in a format that you understand. Save Millions - Avoid costly failures / data theft / plant shutdowns due to information system attacks. No Sting in the Tail - Avoid having the technology protecting you becoming your weakness. Reduce Costs - Gain the benefit of fulltime Information Security staff without the cost. Contact a S?nnet Beskerming consultant to discover what is available to help your business improve its security. Looking for consumer help, rather than business advice? We've got that, too. Check our Products and Services listings, there's a consumer option for every one of our services. There's always our free mailing list that's a wealth of Information Security information, as well as our RSS feed.